As companies develop specific soy programmes as part of zero-deforestation commitments, can regional roundtables help develop bottom-up solutions? Levels of soy production has become an ever-greater factor in the deforestation debate. While the US remains the world’s leading soy grower, since the 1970s the crop has expanded into the South American tropics, with industrial-scale production stretching across Brazil in particular, and in Argentina and Paraguay. Soy is now South America’s most-traded agricultural commodity – with production soaring in response to growing global demand, not least for its use as an animal feedstock. According to data from the Brazilian government, around 1.8m hectares of soy in the Amazon – 40% of the total area cultivated for the crop – in 2016 had been natural vegetation six years previously. Meanwhile, between 2000 and 2015, 20% of the environmentally significant Cerrado grasslands was lost to soy. From a grower’s perspective, soy’s cultivation has certainly been a success. Productivity rates have improved. In Brazil – now the world’s second largest producer of soy – farmers have managed to almost triple yields since 1970, from 1.1 tonnes to 2.9 tonnes per hectare. Between 1970 and 2016, land cultivated for soy in Brazil grew 25 times. In a similar fashion to palm oil, there are layers in soy’s supply chain that add to traceability complexity for retailers or manufacturers with no-deforestation commitments. As Debora Dias, sustainability manager at the Consumer Goods Forum, says: “Soy is a ‘hidden’ commodity because the biggest volumes are not from direct consumption but embedded in animal products.” Soy is a key component for poultry and beef feedstocks. Many brands do include soy sourcing in their supply chain zero-deforestation commitments, whether via their own strategies or as part of multi-stakeholder initiatives. Members of the CGF are required to have such commitments, including soy. And more than 42% of all soy exports from Brazil were covered by some form of no-deforestation commitment made by soy traders in 2016, according to Trase. UK retailer Tesco’s ‘zero deforestation soy transition plan’, announced in the summer, recognises that soy grown in South America in its UK animal protein supply chain has deforestation risks. With an ambition that all soy used as animal feed eventually comes from zero deforestation sources, Tesco aims to achieve this via a three phase programme. Phase one involves a transition to zero deforestation soy credit schemes in 2018. Then a switch to mass-balanced certified soy by 2020, with an eventual transition to “verified deforestation areas” by 2025. In its soy plan announcement, Tesco referenced the success of Amazon moratorium on soy from cleared land that has been significant in reducing soy-driven deforestation. However, this is not a model that can easily be applied universally to other biomes, such as the Cerrado, which display very distinct social, economic and environmental characteristics. “The moratorium was designed at a time when the Brazilian law lacked effective mechanisms for the protection of native biomes,” according to Nick Martell-Bundock, senior director of sustainable development at Cargill. These environmental laws have now evolved, particularly in the use of land, and are now considered to be some of the strictest in the world. The Cerrardo Working Group has been effective in convening sector players, including Cargill as one of the biggest soy traders, to find ways to eradicate deforestation (defined as land conversion) in the biome as quickly as possible, developing a manifesto of commitments designed to halt deforestation and native vegetation loss. Conservationist Chris Wille, former head of sustainable agriculture at Rainforest Alliance, strikes a note of caution. He points out that for all its vaunted success, while the soy moratorium may have reduced deforestation in the Amazon, it has not reduced deforestation for soy overall. The problem, he argues, is that there has been too much focus on high profile campaigning and not enough effort put into the “slow, grimy, ground-level work of motivating and training farmers”. This, he says, is crucial as “unless the farmers and agribusiness are supportive, no scheme will achieve the outcomes we want”. There are some initiatives developing better engagement across the sector. One new approach is to find ways to make soy sourcing more sustainable by bringing players together to develop principles and guidelines at a more local level. For instance, alongside the global Roundtable for Responsible Soy (RTRS), a number of regional roundtables have emerged across Europe, aided in no small part by governments signed up to the Amsterdam Declarations. 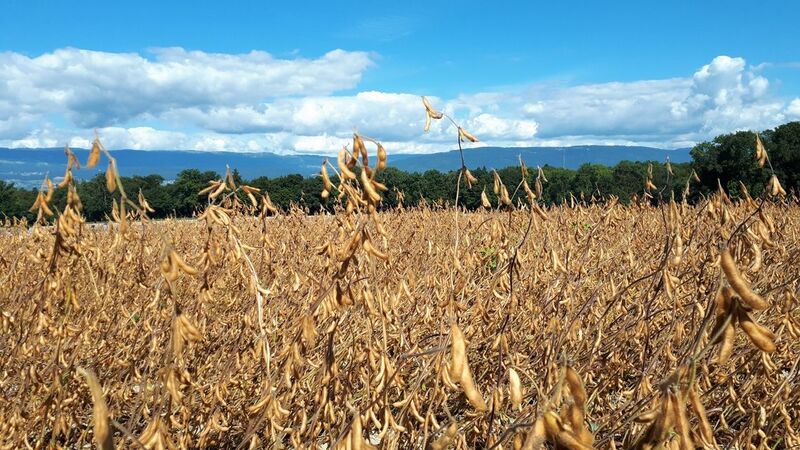 The UK Roundtable for Sustainable Soya (UKRT), for example, is a real collective effort, convened by the UK government’s Department for Business, Energy and Industrial Strategy, facilitated by Efeca and supported by Partnerships for Forests. While the RTRS is a certification scheme with a primary objective of promoting the buying of certified soy, while also developing farming best practice and production guidelines, the UKRT is designed to offer technical assistance and implement supply chain plans to help buyers. It’s not prescriptive about how members reach their goals – this may be by certification but they may choose alternative routes. What’s important is that the industry all moves together to create a “mass market” shift towards sustainable soy, the UKRT says. For Martell-Bundock, however, whether the sector organises on a regional or national level, the pressing issues it faces must be addressed locally with farmers, “creating solutions from the bottom up so that they reflect the needs of the producer community and are more likely to succeed”. In China, a regional approach is significantly beneficial, according to Isabel Nepstad, a programme manager at Solidaridad. While the country’s soy sector can learn from the experiences of Europe, “solutions need to be adapted to the China context given both the cultural and market situation differences,” she says. It is for this reason that the Chinese soy industry, under the Sustainable Soy Trade Platform, is looking to develop China Responsible Soy Sourcing Guidelines. What’s clear is that soy will continue to expand, particularly in the tropics. Government projections of production in Brazil indicate that around 10m hectares may be converted to soy within the next decade. And trade disagreements between the US and China are likely to mean a further increased dependence on soy from South America. Is further forest or biome loss inevitable? It’s hard to say. For example, in the Cerrado alone, nearly 20m hectares of already cleared land is said to be suitable for soy. Driving production to these areas can be prioritised and incentivised, and that will demand ongoing collaboration and collective action, whether through a roundtable approach or not. Simply moving to already cleared land doesn’t solve every problem, of course.